SriLankan Airlines Limited, which was previously known as Air Lanka, is the flag carrier of Sri Lanka. Launched in 1979, SriLankan Airlines connects 104 destinations in 47 countries operating a fleet of 21 aircrafts. Based at the Bandaranaike International Airport, Colombo, the airline is a member of OneWorld alliance. In October, 2017, SriLankan Airlines became the first airline in the world to conduct ETOPS flights with A320neo aircraft. SriLankan Airlines offers best services, on-time and hassle-free operation at the best possible fares! SriLankan Airlines currently has an all-Airbus fleet of 25 modern, sophisticated aircraft. 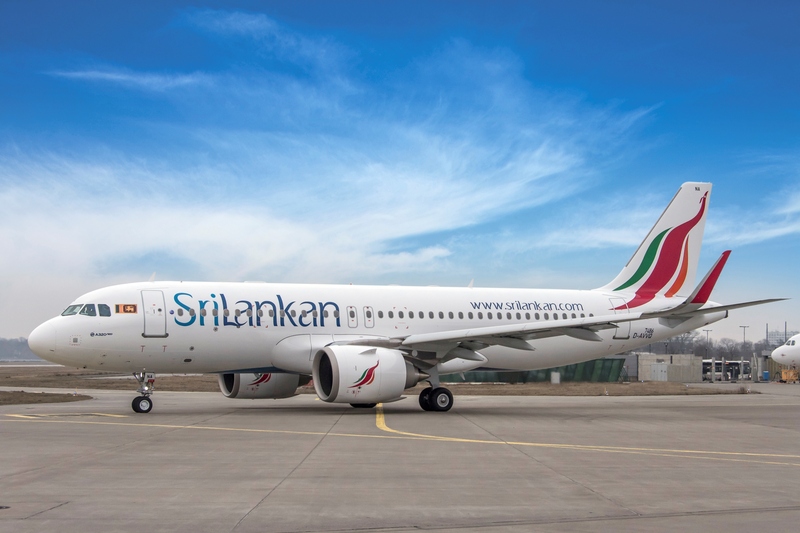 SriLankan Airlines provides connections to its global route network of 96 destinations in 46 countries including codeshare operations along with its partner OneWorld airlines. SriLankan Airlines is a full cost carrier and its aircraft cabin is divided into two cabin classes. Enjoy the ultimate in comfort and convenience with exclusive features and amenities including priority check-in, access to Lounges, amenity kit, fully flat beds, sumptuous cuisine, entertainment options and more. Adjustable seats, mouth-watering cuisine including light snacks, beverages and complimentary bar service, in-flight entertainment with over 100 movies to choose from and gaming zone for children. Book tickets for 10 travellers or more with Sri Lanka’s flag carrier SriLankan Airlines by FareHawker flight Group Booking desk. We offer SriLankan Airlines group fare facility for all travel portal, travel agencies, corporate & tour operator. Our ex-airliner team members are expert in handling small or large segment of Group Bookings. SriLankan Airlines Flight Lowest Group Fare - Buy Group flight tickets with FareHawker for booking international airlines group tickets on discounted fare. We are the largest consolidator for Group Air tickets in India and abroad. Post Your Group Booking Query for SriLankan Airlines. How to book Group Tickets in SriLankan Airlines Flight ? Any traveller, corporate, travel agency or individual can directly mail to FareHawker Group Desk team by asking for SriLankan Airlines flight group fare. Our group booking expert will get back to you on the same trail within 4 hours. Air ticket booking available at lowest airfare for SriLankan Airlines flights at affordable prices at FareHawker. SriLankan Airlines flight online booking - Book SriLankan Airlines ticket online at lowest air fare at FareHawker. Get best offer for SriLankan Airlines connecting India and abroad! Book SriLankan Airlines tickets with FareHawker as we offer the best-in-class fare options for all types of airline bookings. Our dedicated ex-airliner team with their in-depth industry knowledge offers you the cheapest possible fares for domestic as well as international travel. We take pride in our relationship with the airline partners and it is this relationship that allows us to offer you great travel solutions. We are here not only to find the best flights at cheap airfares but also to offer you consolidated travel services so you enjoy a seamless travel experience. Visit SriLankan Airlines FAQ for all related queries. Terms and condition of FareHawker and SriLankan Airlines apply.